Welcome to Finola! – Serving the Hemp World since 1995. Serving the Hemp World since 1995. Click HERE for a two page PDF that describes our seed prices and ordering instructions. Click HERE for a five page PDF on practical farming tips for the FINOLA variety of oilseed hemp. Click HERE for a short (one page PDF) farmer’s check list. Click HERE to download a 20 page PDF on FINOLA’s morphology and development. Most FINOLA growers have good results, some not. Click HERE for a one page list of the 10 most common reasons for failing with this oilseed crop. Please have a look at this document and avoid these common mistakes! Click HERE to download a two page PDF that describes some basic things about the FINOLA variety of oilseed hemp, Finola OY and the Finola® registered trademark. Current status of FINOLA in the EU? Perfectly Legal! The FINOLA oilseed hemp variety is an excellent source of sustainable food and fiber. The exceptional fatty acid profile in Finola® hempseed oil offers a rich source of the two essential fatty acids (EFAs); omega-3 alpha-linolenic acid (ALA 22%) and omega-6 linoleic acid (LA 56%), in addition to significant amounts of gamma linolenic acid (GLA 4%) and stearidonic acid (SDA 2%). We can’t make the EFAs ourselves, so we have to get them from our daily diet. The EFAs are needed to produce many important things in our bodies, including optimal nerve functions throughout the brain and central nervous system. Finola® hempseed oil is an excellent way to obtain our EFAs. Some of these pages were last updated on 10 March 2019. The Finola name and the seed-drop logo are trademarked. Please be respectful of our trademark. 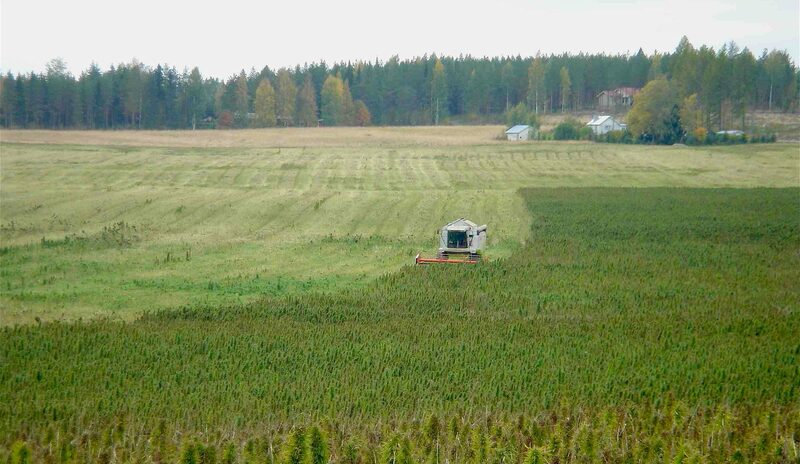 The FINOLA variety of oilseed hemp is protected by OECD Plant Breeder’s Rights.